More than 2 months passed by just like that. 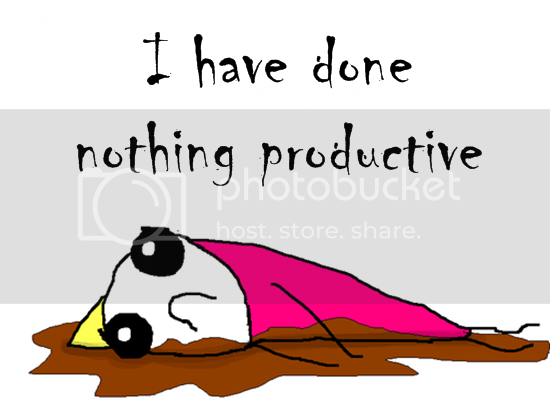 I have not done anything productive-productive that is on my mental to-do list but leisure-wise, it’s a different story altogether 😀 didn’t work at all, haven’t packed any of my things, organised my Tumblr and blog tags etc, but nevermind. Didn’t blog as much as I’d hoped to either 🙁 Still, no regrets 😀 a lot of things made up for all of these but I shan’t go into that. Anw, a new semester awaits! A bit bored from the extremely lengthy holiday already so it’s just nice. Timetable isn’t so bad but Tuesdays’ classes are from 6pm-10pm. Lecturers are all the sarcastic pricks which makes it hard to chatter on in class. Actually school isn’t so bad, it’s the people. Or more precisely my classmates. I don’t get them and I don’t want to get them. For example, why act like you are BFFs when EVERYBODY knows about the stuff you say behind each other’s backs??? WHY. Woohoo looking forward to endless chatter with the girls while nomming on our favourite foods lol 😀 I can see chicken rice, ban mian, tako balls, iced tea and green milk tea already hohoho. This entry was posted on Sunday, October 16th, 2011 at 10:30 pm and is filed under Others. You can follow any responses to this entry through the RSS 2.0 feed. You can leave a response, or trackback from your own site.